A group of lock-picking hackers based in Melbourne, Australia, has cracked open the controversy surrounding 3D printing and personal security. This is one of the most comprehensive Mercedes tools on the market. 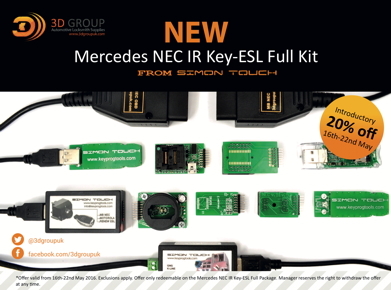 As well as being able to programme Mercedes keys this tool is able to perform multiple other functions such as fast key calculations and renew used or unrepairable ESL with no dealer pass or tokens. 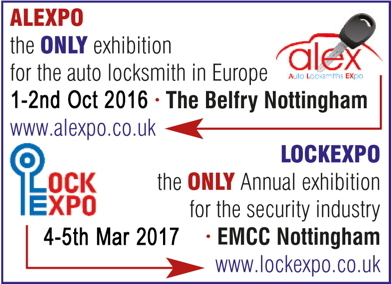 A locksmith had the shock of his life when he unsuspectingly opened a theatre door and walked on stage in front of thousands of people. Craig Hayward, from Poole, was the 'unexpected star' on Michael McIntyre's Big Show on Saturday. The 31-year-old was set up by his Keytek colleagues, who had to keep the secret of his upcoming guest appearance on the comedian's new television series for several weeks. Social housing provider, RCT Homes has selected Guardian24's state-of-the-art MicroGuard device to protect their lone working and at-risk employees.